Arugula Pesto is a very decent, super tasty and much more affordable alternative to your traditional basil pesto! 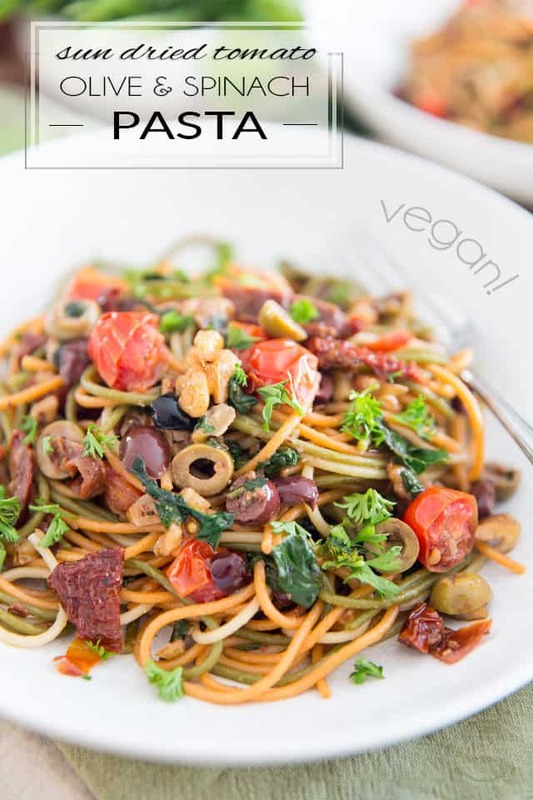 Served with pasta, paired with sun dried tomatoes and pine nuts, it makes for a truly winning combination. If you’ve ever made traditional basil pesto from scratch, then you know just how expensive this can get. Especially if you don’t happen to be growing your own basil… Indeed, this highly aromatic and delicate herb can become quite pricey if you have to buy it at the grocery store, and LOADS are needed to make a good pesto. Arugula Pesto is a very economical and equally tasty alternative, if you ask me! Of course, the flavor is not exactly the same as the original, but it’s still very flavorful, super fresh and crazy simple to make. This version also uses walnuts instead of the super pricey pine nuts that traditional pesto calls for. I chose to save the precious nuts and use them whole as a key player in the dish itself. They’re put to much better use that way, trust me! At least you get to fully appreciate their creamy texture and rich buttery flavor! The addition of a handful of sun dried tomatoes puts the finishing touch on this quick, easy and unpretentious pasta dish. Really, it’s simplicity at its best! 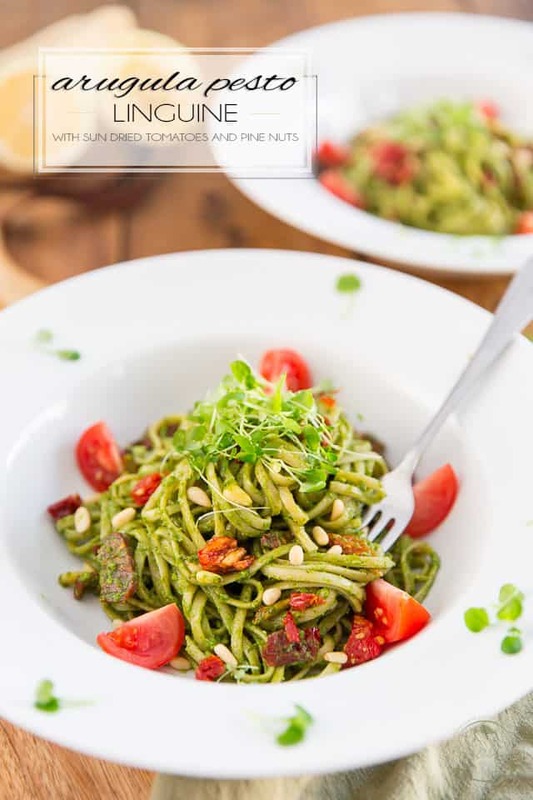 The post Arugula Pesto Linguine with Sun Dried Tomatoes and Pine Nuts appeared first on The Healthy Foodie.